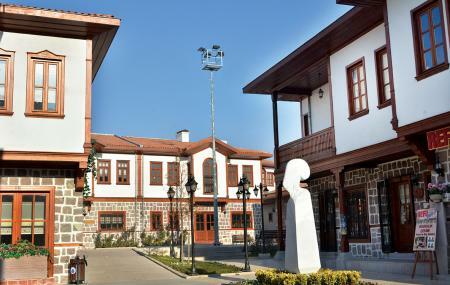 A great place to take a stroll, observe the beautiful houses, shop and eat the traditional Turkish food- Hamamonu is an ancient area on Ankara. Serving as a popular tourist hub and hang-out, this is a calm and well-restored area and a break from Ankara’s crowd. Many cafes, shops and restaurants are available. How popular is Hamamonu Restored Area? People normally club together Cengelhan Rahmi M Koc Museum and Ankamall Alisveris Merkezi while planning their visit to Hamamonu Restored Area. Hamamönü is a small neighborhood but a very nice place.